Explore Rome, Florence, and Venice on private walking tours led by expert guides. 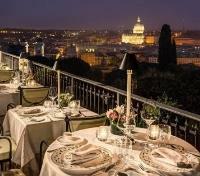 Share a romantic dinner against a stunning backdrop at Mirabelle, one of Rome’s top tables. 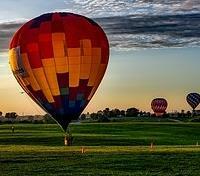 See Italy from a variety of angles via hot-air balloon rides, Vespa tours, and a private sunset canal cruise. 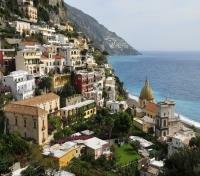 Discover the laidback charms of the Amalfi Coast, including Ravello, Positano, and Amalfi itself. Paris may be the unofficial world capital of amour, but in Italy, it’s a national treasure. Start your new life together in fine style on this relaxing and romantic jaunt through Rome, Positano, Florence, and Venice. Privately guided walks, romantic gondola and hot-air balloon rides, Tuscan scenery, exquisite art and plenty of just-for-two time await. 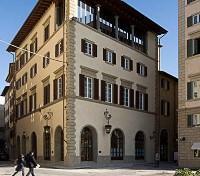 The Luxe Rose Garden Hotel is located on Via Vittorio Veneto in Rome, chosen as one of Conde Nast’s Top Cities, a mere forty five minutes away from the Fiumicino Airport. The property is within walking distance to some of Rome's most famous landmarks including the Spanish Steps, Trevi Fountain and various Baroque inspired churches. This historical property is situated in the heart of the city center and features elegantly designed guestrooms and contemporary and spacious suites. Feast like royalty with menus that feature delicious Italian delicacies and international specialties at the onsite a la carte restaurant, Il Roseto. Wander through the hotel’s garden area, hosting beautiful floral compositions and handcrafted modern sculptures. When in Rome, surround yourself with the most gracious of amenities at The Luxe Rose Garden Hotel. Meet your private guide and set out on foot through the historical center of Rome, a breathtaking area filled with fascinating archaeological sites and monuments. 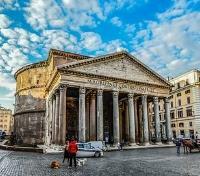 Visit the 2,000-year-old Pantheon, one of the most influential and well-preserved buildings of ancient Rome, best recognized for its massive dome and center oculus. Head to the famous 18th century Trevi Fountain, considered the most beautiful Baroque fountain in the world, where you can follow the legend and toss in a coin to ensure your return to Rome. 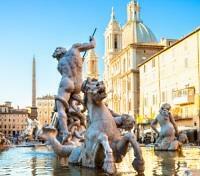 At Piazza Navona, you'll find the central Four Rivers Fountain by Bernini, a 17th century masterpiece with its giant statues of sea gods, a work that one could gaze upon for hours as the light gradually changes on the surrounding Baroque facades and cafes, and artists set up to sell their wares in the lively square. Finally, Piazza Di Spagna, also called the heart of Rome, is one of the most exciting squares in Rome, famous for its Spanish Steps, with different terraces, ramps and 135 steps, decorated with colorful flowers in the spring. Enjoy an included coffee break and gelato with your guide, for a taste of the conversation that Italy is known for, discussing sights you’ve seen…or just relaxing. Always on the radar in the warmer months, the sprawling grounds around the Villa Borghese are perfect for an afternoon picnic. With some time at leisure, why not stop for supplies at a local grocer (panini buns, cheese, prosciutto, and perhaps a nice bottle of Chianti are a good start) and head towards the Spanish Steps at the northern edge of the city. Climb the grand, sweeping steps to the twin bell towers of the Chiesa Trinita dei Monti, and enjoy the stunning views of the Roman rooftops. At the top of the steps, take a right along Via Sistina and a left into Via Francesco Crispi. Then follow the Aurelian wall (the ancient Roman city wall) until you arrive at Via Vittorio Veneto. Turn left and enter the Villa Borghese gardens on your right. 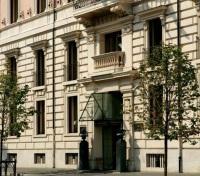 Make your way down the grand steps in front of the Galleria Nazionale d'Arte Moderna and follow Via Madama Letizia. 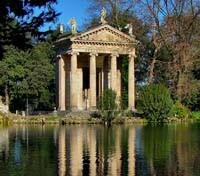 A short walk from there, you'll see a pretty lake with an island temple on it, know as Tempio de Esculapio. 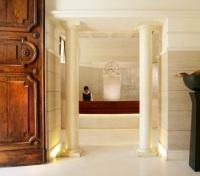 This temple was designed by the 18th-century architect Antonio Asprucci and is dedicated to the Roman god of health. Find a quiet scrap of grass here, unpack your lunch, and enjoy a beautiful sunny Roman afternoon in the park! Meet your private guide and driver, setting out on a half-day cultural journey to the center of Christianity; the Vatican. The smallest city-state in the world, the this papal enclave is fully situated within the geographical interior of Rome. You're sure to be fascinated by the impressive collection of art and sculpture as you visit the Vatican Museum and the 15th century Sistine Chapel, viewing paintings by great artistic masters, including Michelangelo's iconic painting the Creation of the World, which dominates the chapel ceiling. 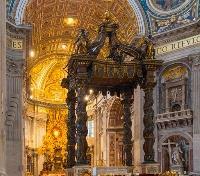 You'll also visit the Baroque and Renaissance-inspired marvel that is the 17th century St. Peter's Basilica, featuring some 800 plus pillars, 44 altars and numerous heavenly created sculptures and paintings. Constructed over a span of 100 years, St. Peter's Basilica is by far the largest and most renowned Catholic Church in the World. While touring this holy site, speaking at a high tone is not permitted, so you'll be provided with a radio headset which your guide will whisper descriptions and information regarding this epic monument of Christianity. 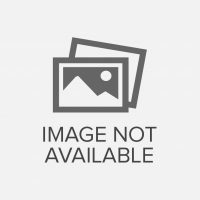 Conclude your tour with a return transfer by private vehicle. This evening, meet your private driver for a transfer to Mirabelle, a romantic restaurant offering a gourmet terrace with exquisite views that span from Villa Medici and the Trinità dei Monti all the way to St. Peter’s and the Gianicolo. Provided for you will be a delightful 4-course dinner, along with soft drinks, and a 1/2 bottle of wine selected by the sommelier. The refined style, the sophisticated live music, the dishes prepared with expertise and passion, and the elegance of one of the most spectacular rooftop gardens in Rome will make your meal more than just memorable. It will be unforgettable. Conclude your evening with a return transfer to your hotel. Meet your private driver and vehicle for a transfer to Positano. Approximate travel time is 1.5 hours. 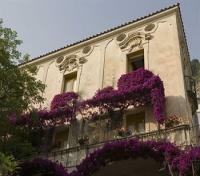 Palazzo Murat Hotel is in the center of Positano. It is tucked away in Donna Carmela’s botanical garden, the “green heart” of the palace, and will be the ideal place for those of you who simply want to enjoy some peace and quiet. For breakfast, you will taste fresh marmalade made with the fruits of the garden’s blooming mandarin, lemon and grapefruit trees. The courtyard is the most exclusive and romantic area of the hotel where you can enjoy a taste of some traditional cuisine from Al Palazzo Restaurant. The guest rooms are unique and special with their perfectly renovated antique furniture. Meet your private guide and depart Positano on an excursion which drives the majestic Amalfi Coast, stopping to explore the picturesque towns of Amalfi, and Ravello, both UNESCO World Heritage Sites. 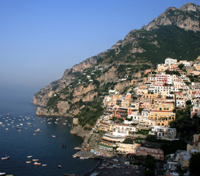 By private transportation, you'll follow the scenic coastline along the breathtaking and winding road to the town of Amalfi, where you'll have a chance to take in the stunning scenery of this popular holiday area. Backed by dramatic cliffs, and home to an 11th century cathedral, you'll likely also spot some of the area's renowned lemons grown on the terraced gardens here. Visit the Chiostro del Paradiso, a cloister dating back to the 13th century with an impressive 120 marble columns, and housing a beautiful garden and the tombs of Amalfi's noble citizens. Continuing along, you'll make your way to the town of Ravello, another UNESCO-recognized gem, which has a unique vantage point looking down on the so-called 'divine coast'. Take in Ravello's quaint scenery and charm, and spot the historic villa of the wealthy and powerful Rufolo family before concluding with a return drive back to Sorrento. Meet your private driver and vehicle for a transfer to Naples. Approximate travel time is 1.5 hours. 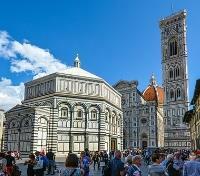 Travel back to the Renaissance period during a half-day walking tour exploring the renowned Tuscan city of Florence. Depart your hotel on foot with your private guide, strolling through the colorful central market zone, passing the powerful Medici family's church, Basilica di San Lorenzo, with history dating back to its consecration in 393 AD. Walking through Florence's UNESCO World Heritage-listed old city center, you'll come to renowned Cathedral Square where you can admire some of the city's most iconic sites. Spot the massive 13th-15th century Florence Cathedral (or Duomo) and 277-foot Giotto's Bell Tower, which dominate the skyline, as well as the nearby 11th century Romanesque Baptistery with its Paradise Door. In Signoria Square, effectively an open-air sculpture museum, view the imposing Palazzo Vecchio with its clock and bell tower, and marvel at the stunning Neptune Fountain and recreated statue of Michelangelo’s masterpiece, David. Head to the elegant 14th century Ponte Vecchio, known as the jewel bridge. After snapping some photos along this famous bridge, pass by the wonderful 14th century Pitti Palace before returning to your hotel. Glide over the picturesque Tuscan countryside in a hot air balloon this morning, watching from above as the region springs to life with the rise of a new day. You'll depart by private vehicle early this morning, making your way to a launch location where you'll meet up with a small group (up to 14 total passengers), joining you in the same basket as you gently sail across the skies for an hour, enjoying aerial views of vineyards and villas. Upon touchdown, you'll gather for a light breakfast including prosecco to celebrate your flight! 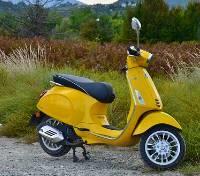 What better way to explore the scenery of the Tuscan countryside than at the helm of your very own Vespa, Italy's iconic motorized scooter. Meet your private driver for a transfer 45 minutes south of Florence, where you'll meet up with a specialized private guide who will lead you on a scenic drive through the Tuscan countryside on your own Vespa. From wine and olive oil tasting, to visiting a charming 12th century medieval castle that's home to a Count and Countess, genuine experiences will capture your heart, while the picturesque scenery and fresh air will take your breath away. Enjoy a light lunch at a local, family-run restaurant before dropping off your Vespa and making the return trip to Florence, chauffeured by a member of the Vespa tour team. 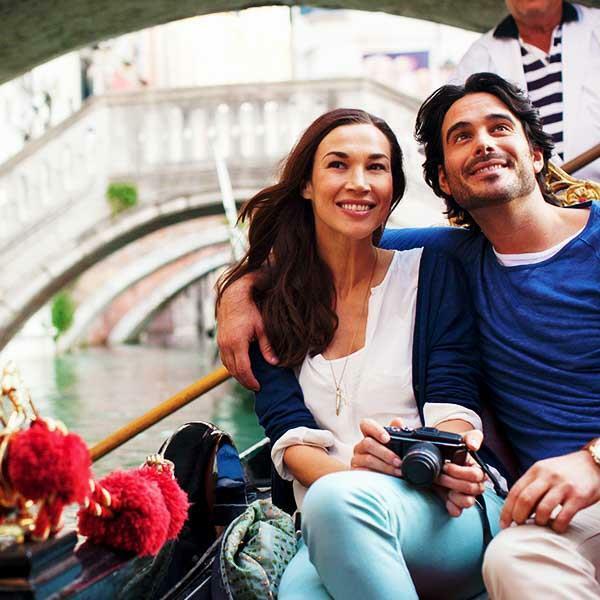 Meet your private driver for a transfer from Florence to Venice, with a 2-hour stop in historic Verona, of Romeo & Juliet fame, for some time at leisure to explore independently and perhaps find a quaint place to grab a bite to eat. See some of the buildings and monumentsVerona has accumulated since its beginnings over 2,000 years ago. 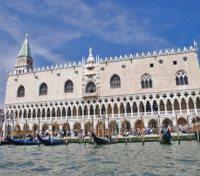 View Romanesque churches, Gothic towers and castles, Renaissance palaces, squares, and elegant courtyards. You can stroll past the 2,000 year old Roman amphitheater, the legendary houses of Romeo and Juliet, as well as Erbe Square, home to a 14th century fountain with a 4th century statue Madonna Verona standing in it. 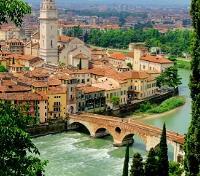 Watch the history of Verona unfold before your eyes before rejoining your driver and continuing on to Venice. 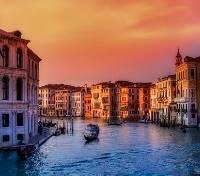 This evening, capture the striking beauty of Venice as you set out on a private sunset boat cruise on the Grand Canal. With no guide for commentary, let the peaceful sounds of the canal set the perfect mood. Sit back and relax as your Captain holds a slow coasting speed, taking you through Venice's largest waterway and thoroughfare as the sun begins its descent behind the horizon. From an intense glow to muted pastel hues, each evening is its own unique masterpiece. Stay in the moment, and relish in the ambiance of the picture-perfect lighting cast onto the the 13th-18th century buildings lining the canal, one of the many reasons Venice is considered the most romantic city in the world.